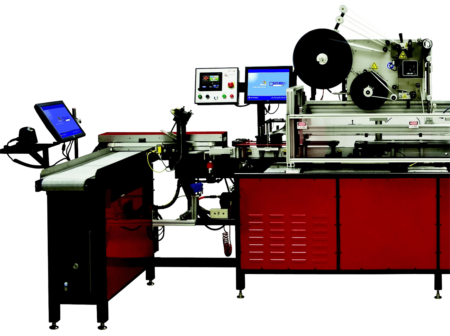 The RED Stamp Digital Tax Stamping Machine leads the way in secure tax stamp applications, utilizing advanced engineering for secure and reliable operation. RED Stamp tax stampers are known for their ability to significantly decrease product damage and increase throughput. The Digital Tax Stamping Machine is designed to allow flexible programming to ensure layered security between distributors and the State. The RED Stamp Digital Tax Stamping Machine fully supports track and trace programs to confirm stamp application on legitimate products.